Actually there are three artists involved in creating these daring wines; Florent, Thomas and Vincent Collet. Their cuvées demonstrate Côte de Sezanne's potential in presenting super-clean, naturally tasting wines which always include a portion of blocked MF, oak barrels, low Dosage and extended lees aging. For sure, Domaine Collet will soon join the region's elite. Their village Fontaine Denis is centrally located in the sub-region Cote de Sézanne, which in itself lies south of Cote des Blancs. There are only 125 hectares registered as AOC Champagne here, and the Collet brothers farm 5,04 ha of these, divided into 15 different plots. Each plots is cared for and fermented separately, enabling the brothers multiple blending options. The main brand at Domaine Collet is Empreinte de Terroir, which comes in four different versions; Brut, Extra Brut, Rosé de Saignée Brut and finally a Chardonnay Brut. The objective with the Empeinte range is to showcase the uniqueness of this unknown place. Collet also produce, in minuscule quantities, two wines under the Anthime label. Both these cuvées are aged in oak barrels, sees none or only limited malolactic fermentation and aims at the highest pedigree in Champagne. 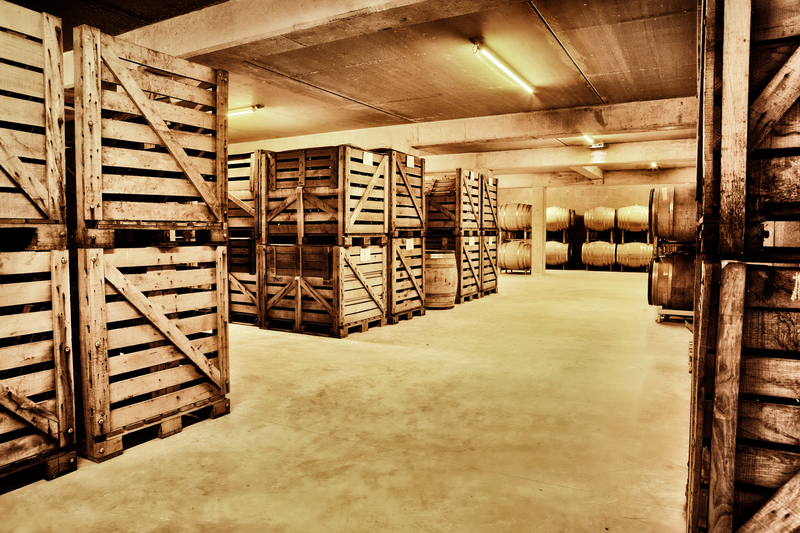 All Collet champagnes are done partly in oak barrels and full MF in never completed. 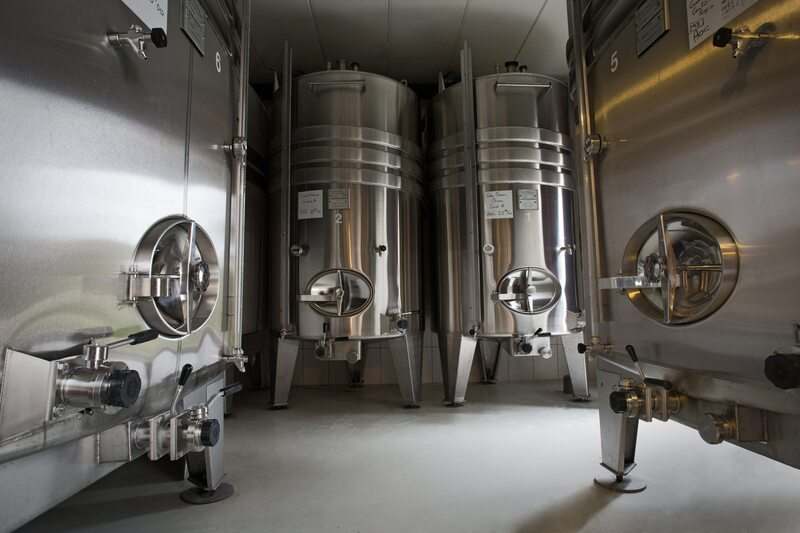 The must ferments in stainless steel tanks and in any stage of the vilification they carefully monitor the contact with oxygen, in order to produce a clean, fresh, elegant and salivating sensation on the palate. 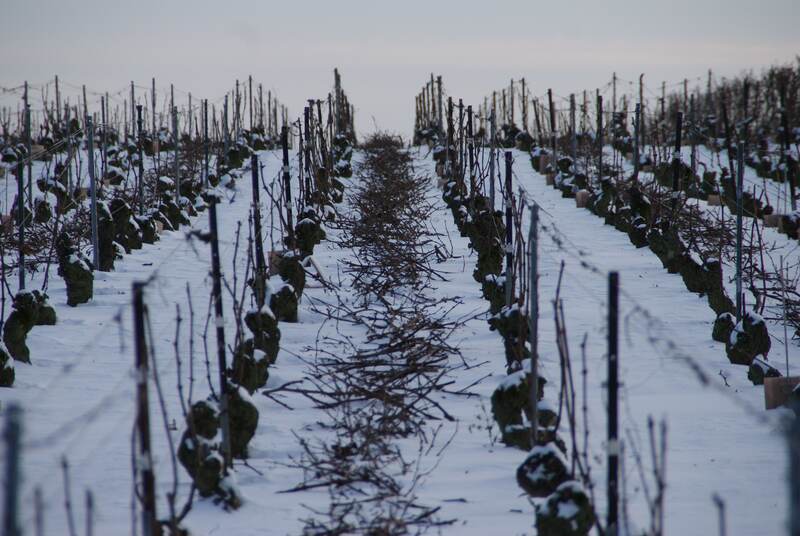 In order to ensure complexity, the percentage of reserve wines is substantial. This rare cuvée highlights not only the Collet brothers’ true dedication to quality, but also proves what’s possible in the Cote de Sezanne area. Old vine parcels are carefully vinified, exclusively in French oak barrels, and then given an extended time on the lees before Degorgement. Blocked malolactic fermentation and low Dosage further enhances lightness and elegance but this seriously complex wine is far from anemic, instead it sports great fruit intensity and wonderful overall balance. This unique rosé, is created by blending Pinot Noir from the Domaine’s oldest Pinot Noir parcel, Les Vignes, planted in 1950, with high-quality Chardonnay juice. The Pinot Noir uses the Saignée method to get its light and beautifully light, pinkish color. Vinification is done entirely in oak barrels, which add roundness to the wine’s acidic spine, derived from blocking the malolactic fermentation (MF). Domaine Collet only produce 600 bottles annually of this rare gem, meaning that Brix Wine’s allocation is limited to 48 bottles per year. That said, we encourage everybody to taste it, as it’s worthy of your full attention. As most serious importers, we choose our producers based on the entire range they produce, but we always pay serious attention their entry-level wines. When tasting Empriente de Terroir Brut for the first time, we realized immediately that these guys are the real deal! Considering its modest price tag, this beauty delivers in spades. Wonderfully precise Chardonnay wine, just the way we like it! Far too many Blanc de Blancs Champagnes suffer from recognition. In our opinion, the Collet brothers have fully understand that, and instead created an elegant and graceful wine, lively and varietally correct as well. Again the prolonged lees contact add complexity to its nervous personality. To us, this is what Extra Brut Champagnes are all about. This wine show great finesse, but it’s not anemic. Instead it has great mid-palate weight to balance its low sugar and partly blocked MF, allowing flavors to shine on the soil-driven finish. WHERE: Located in the tiny, sleepy village Fontaine Denis, located in Côte de Sezanne. WHAT: Cleverly made, dry and elegant Champagnes from holdings covering just 5 ha, planted mainly with Chardonnay and Pinot Noir. HOW: Strict selection and their 15 plots are always fermented separately in order have multiple blending options. Their wines are an interesting combination of barrel aging, blocked malolactic fermentation and extended lees contact.